Is this a fun collectable or big rip-off? You be the judge and jury! I was overjoyed last January when I discovered that Nostalgia Family Video was putting out this disc, with fun cover art from Kerry Gammill. I ordered it immediately. I paid six bucks. 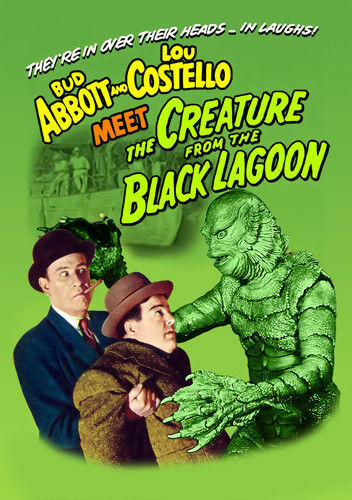 I would have paid six bucks just for the empty case to display, but I also received the DVD, which contains Abbott and Costello’s performance on the Colgate Comedy Hour in a skit that features the real Ben Chapman in full Creature from the Black Lagoon suit, a promotional appearance that Universal Pictures sanctioned to drum up some publicity for the upcoming film. 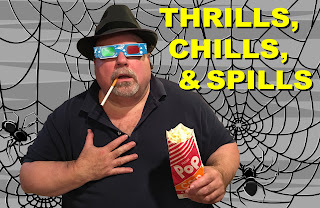 The sketch runs about fifteen minutes. The DVD includes the entire comedy hour, along with trailers for all the Abbott and Costello Meet… monster pictures AND all the Universal Creature films. I was pleased with the purchase. Apparently, I know my Universal history better than some. 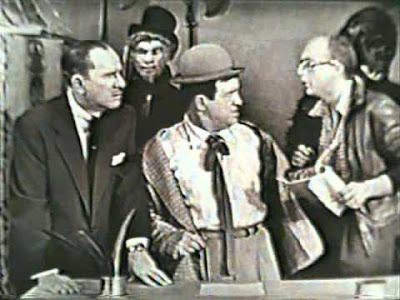 Abbott and Costello met Frankenstein on the big screen first, went on to meet The Killer, Boris Karloff; then the Invisible Man; then Doctor Jeckyll and Mr. Hyde; and finally, the Mummy. They never made a feature film with the Creature from the Black Lagoon. 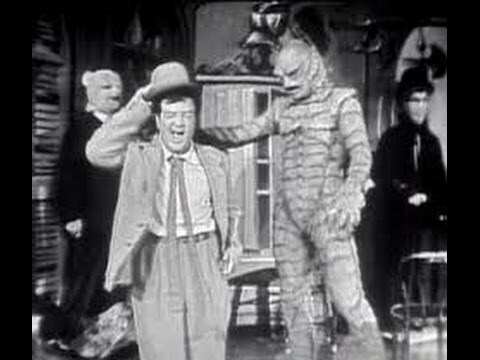 TANGENT: Three weeks ago, Universal released Abbott and Costello Meet the Mummy on Blu-ray. It’s the bestiest. The film features Marie Windsor in a rare, non-noir performance. Where was I? Oh yes, apparently there are some consumers shopping Amazon.com for DVDs who 1) are unaware of the A&C Meet… history, 2) are enticed by attractive retro packaging, and 3) are motivated largely by price. Some sad Abbott and Costello fans bought this disc, thinking it was an undiscovered, feature-length comedy/horror hybrid featuring good old Bud and Lou. I honestly feel sorry for Jeremy. Like him, I love Abbott and Costello “a lot!!! !” But what did he expect for six bucks? 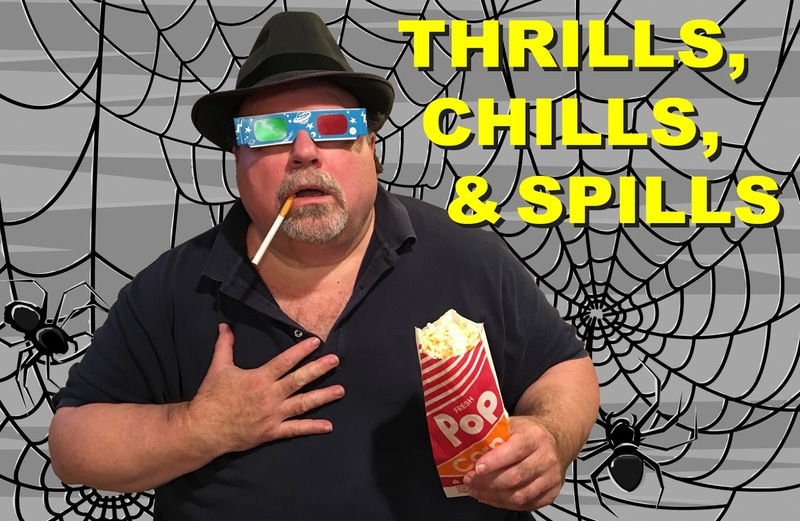 I know, I know—he says he “would have paid $30” for a REAL movie. But nobody asked him for $30. They only asked for six. TANGENT: Amazon is now charging $6.68. I paid $5.99 earlier in the year. Even with this staggering 11.5 percent price increase, it is STILL WORTH IT. Clearly, I feel that I got more than my money’s worth and I think most Scary Movie Month disciples would agree, but your mileage may vary. I own the complete Abbott and Costello “trunk” collection, the Abbott and Costello Meet the Monsters DVD set, Abbott and Costello Meet Frankenstein and Abbott and Costello Meet the Mummy on Blu-ray disc, and Abbott and Costello Meet Frankenstein on The Frankenstein Legacy box set, both formats. That means I have SIX different choices of which disc I want to use if I ever need to watch the 30 minute featurette “Abbott & Costello Meet the Monsters” again, because it’s included on all of them. Would anyone like to borrow one? 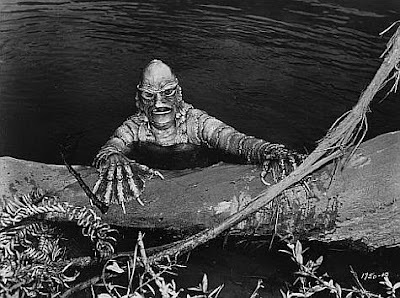 Happy Scary Movie Month! I felt weird for about 30 seconds because I had the Abbot and Costello meet Frankenstein on standalone disc AND I had the multi disc A&C set with it, but i felt I NEEDED the stand alone disc too so i could file it with the Universal Monsters shelf... and now they are all on the same shelf anyway. .. the world needs mor A&C in it anyway. This sounds like a lot of fun. I should definitely crack out the A&C meet films again. My siblings love them also! I enjoyed the comments on Amazon section, I might find comments like that too amusing. It is a way of dealing with certain folk though.